The first time I ever remember being aware of my size and of feeling “too big” was not long after my tenth birthday. I was at a friend’s party with a bunch of kids from school. My friend’s parents had a zipline set up in their backyard, and the zipline had a weight limit on it. 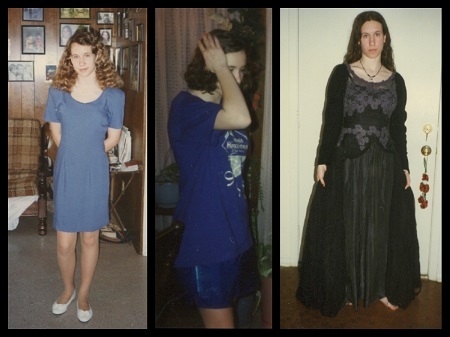 I don’t know how tall I was (somewhere between 4’6 and 5′), and I don’t know why I knew my weight. All I remember is the devastation in discovering that my 74 lbs was just a few pounds over the weight limit. I felt like a whale. Honestly, I can’t even remember if I stayed off the zipline or if I lied my way onto it, terrified it would snap under my “bulk.” I just remember debating what to do, knowing that everyone else at the party would be going on it, and feeling so much bigger than the rest of them (when in reality, I wasn’t). 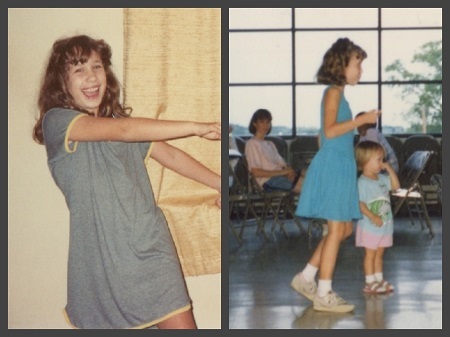 This was the moment I became hyperaware of my size, which quickly grew worse when my family moved to Texas and I was one of few white girls in a mostly-Hispanic area. I was so much taller than most people, and always felt huge huge huge. I’ve let size awareness keep me from so many things. Family pictures. School reunions. Meeting up with people who knew me when I was thinner. Getting my license replaced even though it got warped in the dryer. Renewing my passport. Exercising in public. Going into athletic stores for the right clothes/shoes. Participating in 5ks. Etc. The worse, however, was the time I let a life-long dream pass me by. In 2007, I met several members of my favorite band, and heard one of them play with his new band. Eighteen months later, the lead singer was performing with his new band, and I desperately wanted to go. I knew it was likely my only chance to hear him sing live, so I bought tickets to NYC the moment the concert was announced. As the date approached, my body-anxiety took over. I’d gained 50 lbs since I’d last met these band members. I couldn’t face showing up so much heavier. Would they have cared? Probably not. But I cared, so much that I ended up canceling my ticket and letting the singer know I couldn’t come after all. He wrote to tell me he was disappointed I wouldn’t be able to make it, and I felt even worse. It’s been seven years, and there have been no more concerts that I know of. An opportunity lost, possibly forever, due to shame. Don’t do it. Don’t cancel your flight. Don’t put off opportunities out of fear. Don’t let shame make your decisions for you. Especially not in this case, not when it comes to this band. No one cares about the weight you’ve gained except you. If anyone did care, would it really matter? You’d still have the experience of a lifetime, and no regrets. If you don’t go, if you cancel, you will be a Very Sad Manda. Go. Please. This entry was posted in Wellness and tagged body image, Wellness Wednesday. Bookmark the permalink. Oh, Amanda. I don’t have nearly those types of missed opportunities, but I look back on just how few pictures I am in and how I dislike swimming and how I have avoided all reunions because of the weight I have gained, it is all the same, isn’t it? We will figure this out. It IS the same. Most of my missed opportunities are things like that – missed reunions and family photos and such. It’s very sad.